training, guidance and access to essential resources. diverse needs of our participants. development services and basic computer training. Adjusting and finding a sense of normal can be challenging after being incarcerated. 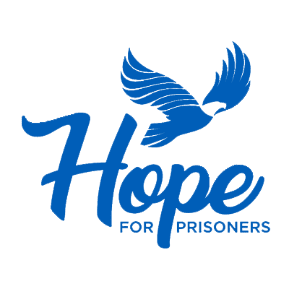 Hope for Prisoners understands that and offers a wide range of services and access to resources to help you or a loved one make the transition and successfully reenter the community as a contributing member. The first step to enrolling in the HOPE for Prisoners program is to complete an intake form. Walk-ins are welcome at our office Mon-Fri from 8:30am until 5:00pm or simply complete the intake online using the link below. All clients must have valid identification and a social security card. Each month, HOPE for Prisoners conducts a 90-minute orientation that will cover all of the details of our process, what is expected from our clients to ensure your success and what you can expect from us. Once you have attended an orientation, you will be scheduled to meet with one of our staff members for a one-on-one interview and and needs assessment. Incoming clients must agree to submit to a drug test as part of the enrollment process. We encourage a drug-free environment and want to offer help to those who may be struggling with addiction. Clients who have completed the enrollment process are expected to sign a letter of commitment to remain in compliance with our program requirements as we will work tirelessly to help you achieve your success!